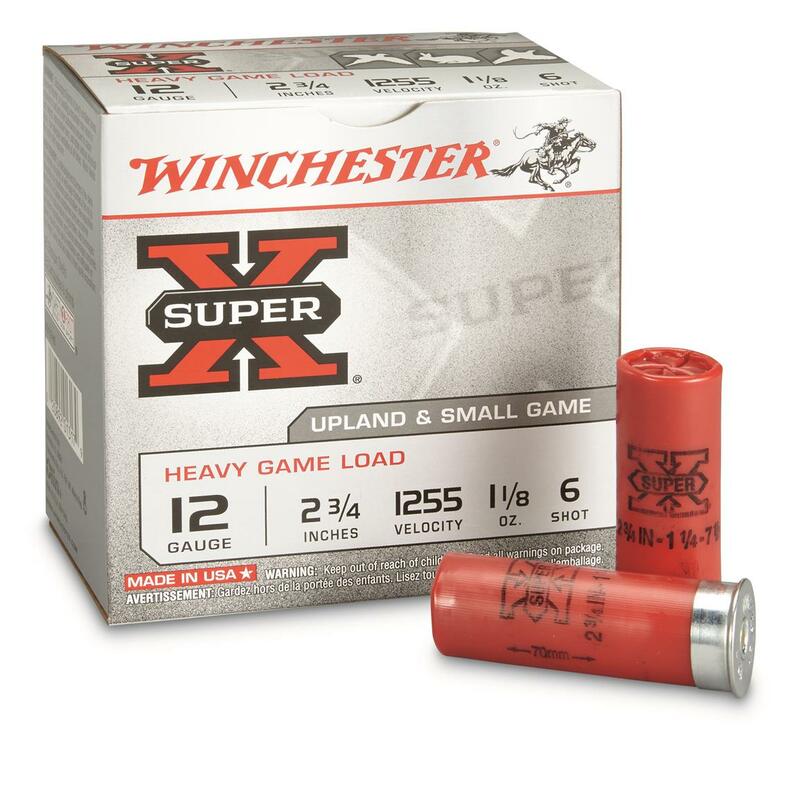 25 rounds Winchester® Super-X® Heavy Game Field Shotshells Hits quick-flying game birds hard and fast! Clean-burning Loads offer shot-to-shot reliability at an affordable price! Super-X® Game Loads deliver the hunting edge with reduced recoil and denser, more consistent patterns in the field. THE Load for the demanding hunter who wants a dense pattern for more difficult wing shooting situations. Winchester, 12 Gauge, 2 3/4 , 1 1/8 oz., Super-X Heavy Game Field Shotshells, 25 Rounds is rated 4.7 out of 5 by 21. Rated 5 out of 5 by Getoutdoors from Great shells at a great price. I use these shells for dog training. I shoot pigeons and pheasants over Springer Spaniels while training. They are great, and the price is great also. Rated 5 out of 5 by DSTDean from Consistent Performance These shells deliver consistent performance, just like Sportsman's Guide. Rated 5 out of 5 by Oldsarge from Great price and service Great Price and great sevice!! !